From the mountains to the plains, and on to the coast, the Alpine Pacific Triangle is a premier touring route covering the entire North Canterbury area. Follow the route markers to experience whale and seal watching, heritage farmstay and tours, the most popular hot Springs in the South Island, wine-tasting and fine dining, Maori cultural experiences and adventure skiing, four-wheel driving, tramping, fishing and hunting. Hanmer Springs has long been sought-after for its Spa and hot Springs, and now is a centre for a host of adventure activities, including jet boating, scenic flights, winter skiing and regular mountain biking events. Hanmer Springs Village is a great base to use for exploring the rest of the area, which contains many walking and tramping (hiking) tracks. Kaikoura, formerly a quiet seaside fishing town, now hosts shops, galleries and fine dining. 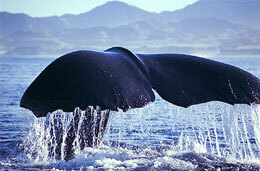 The town is world-renowned for its ecotourism, featuring whale watch opportunities and marine wildlife encounters. As well as offering outstanding wildlife watching opportunities, Kaikoura has outstanding walks, cave tours, Maori heritage tours and outstanding scenery, and in summer, scuba diving, fishing, surfing and swimming. The Waipara area is the wine growing centre of North Canterbury, with many boutique wineries producing a total of 200,000 cases a year. 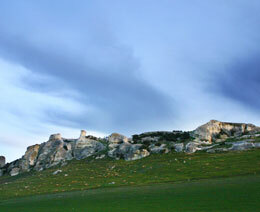 Visit the Waipara area for wine tasting, vineyard cafes and restaurants. Other places of note in the area are Amberley, the Greta Valley, Motunau Beach and Waikari, which hosts the terminus of the vintage Weka Pass railway, running heritage steam trains every third Sunday (except during the closed fire season).